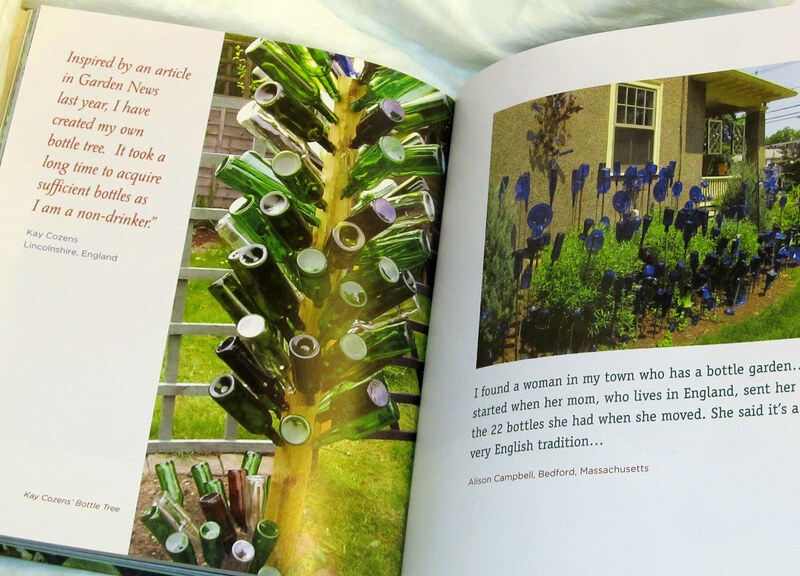 Haverhill Residents: Do You Know Where to Find This House Bedecked in Bottle Trees? Hint: It’s near the former Bradford (now NorthPoint) College Campus. 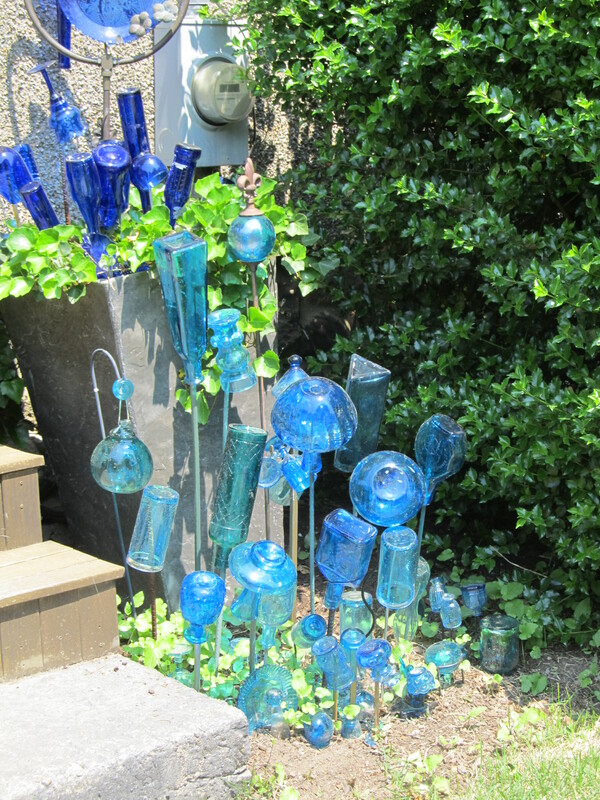 This picture of a colorful yard of a local Haverhill family is featured in a new book on bottle trees and garden glass. 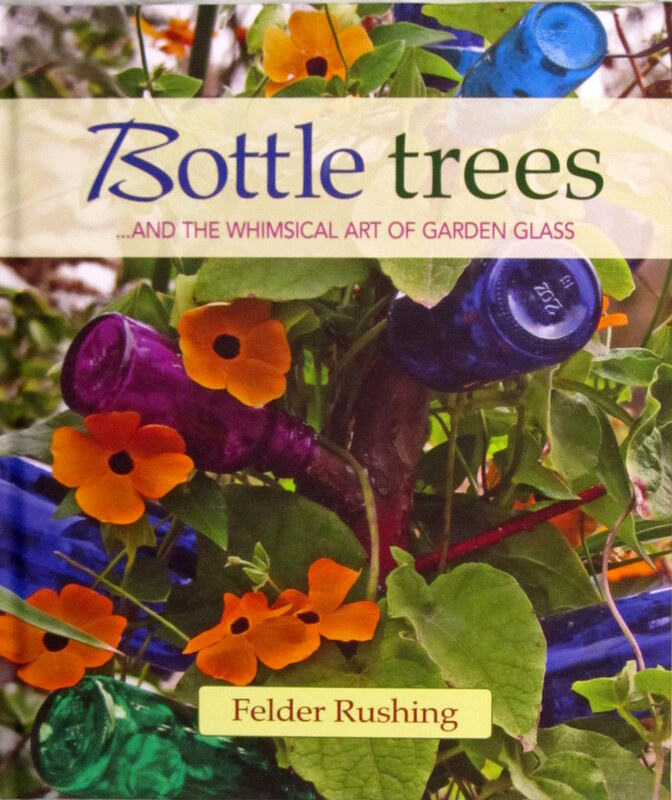 And I know this because I just received my autographed copy of the new hardcover book: Bottle Trees and the Whimsical Art of Garden Glass by Southern Celebrity Gardener and Public Radio Personality, Felder Rushing. It’s a beautiful little book with creativity that will amaze you. I can even unravel the mystery of how this Bradford house got discovered by a man who putters around his diverse gardens in Mississippi and rural England and has never visited Haverhill. 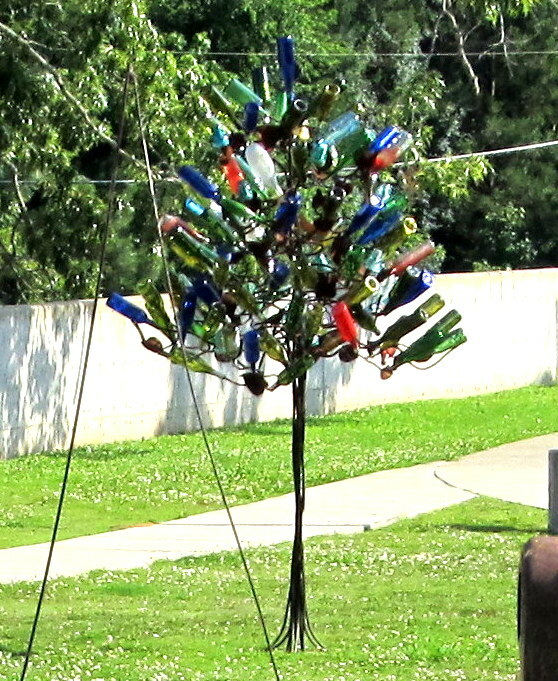 Last May, I became obsessed with bottle trees after witnessing this foreign phenomenon on a visit to Mississippi. I’d never heard of nor seen such a thing before that trip, so of course it warranted a little research. After a quick Google search, the name that kept coming up was Felder Rushing. I emailed his website along with several others, but Mr. Rushing was the only one who really gave me the time of day. I kept asking questions and he kept answering. And when I decided a blog post was in order, he offered to let me use the photos from his website. In no time, I viewed enough trees with enough bottles to fill a recycling center. When we started emailing, I didn’t know who Felder Rushing was but I told my husband about this super nice guy who was helping me with my blog. My husband lived many years throughout the south and asked “Do you know who he is? He’s pretty famous.” My husband ( a non-gardener) knew my new email friend has as avid a cult following as Taylor Swift does in her field and I was taking up his time with all my “but why” questions. 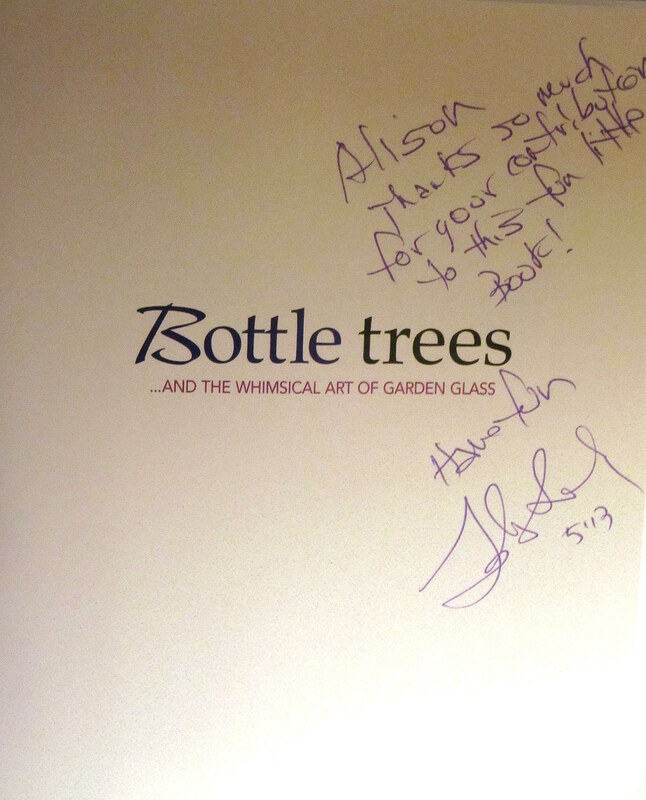 Toward the end of the year, I heard back from Mr. Rushing who requested permission to use one of my photos in a book he was just finishing up on bottle trees. I echoed his generous spirit and said “sure” just give me a photo credit and let me know if I need to get approval from the homeowner whose name and street address I could no longer remember, but I could find. He told me his lawyers said no approval was needed and agreed to my terms. Today I got a package in the mail. And there midway through his book without page numbers is this right hand photo with a credit that reads “Alison Campbell (my name is Colby-Campbell), Bedford, MA. So lovely Bradford neighbor neither you nor I have to worry about the paparazzi showing up on our doorsteps…at least until the second edition comes out! But we are pretty nearly famous. And it’s still the most exciting thing that’s happened to me all week. My daughters are patients of Dr. Ferlito on Main st, we deliberately go around the block to pass this house. We’re collecting red vases to do our own tree. This is a great example of why one should never hesitate to ask questions. What a wonderful connection you’ve made. A friend of mine on FB already asked me for directions, so what the book got wrong, may keep outsiders searching in vain, but townies know where to go. Thank you for your comment. 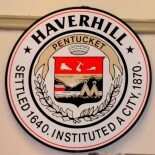 This entry was posted on May 14, 2013 by Brain4Rent/THoH in Bradford MA, Good news, Haverhill, Massachusetts, photography, Uncategorized and tagged Alison Colby-Campbell, bottle gardens, Bottle Tree Book, Bottle Trees and the whimsical art of garden glass, BRADFORD ma, Brain4Rent, Felder Rushing, gardening, Haverhill, Haverhill MA, photographs, photography.